Check out Tobi's It's Not Over Draped Playsuit Sleeveless romper with front twist detailing, deep underarm slits, and deep V back. Dress it up or down for a business casual affair. 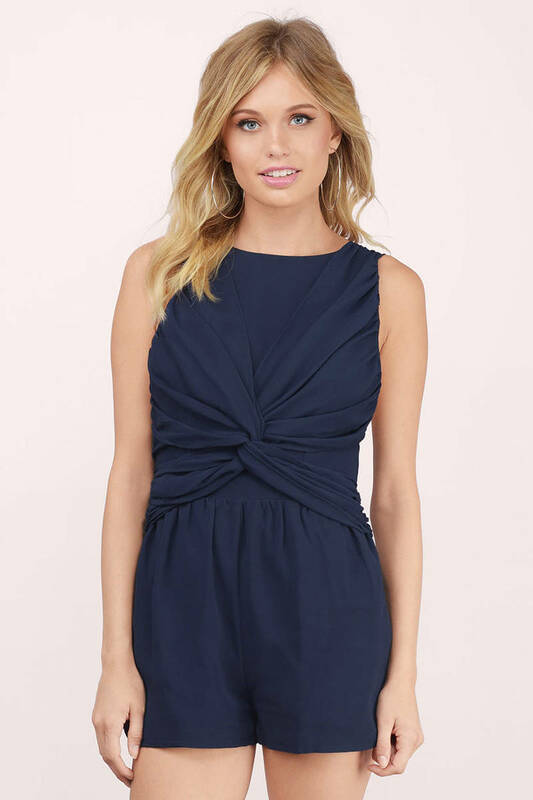 Sleeveless romper with front twist detailing, deep underarm slits, and deep V back. Dress it up or down for a business casual affair. Mint modeled on a size Small. Navy modeled on a size Small.